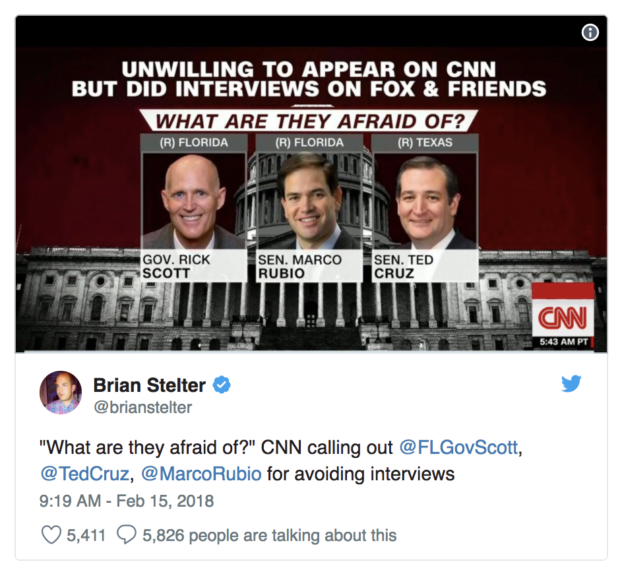 CNN was very upset that Republicans were not coming on their programming in the wake of the school shooting tragedy this week. One of CNN’s most intellectual personalities, Chris Cuomo, joined in on the dog piling. 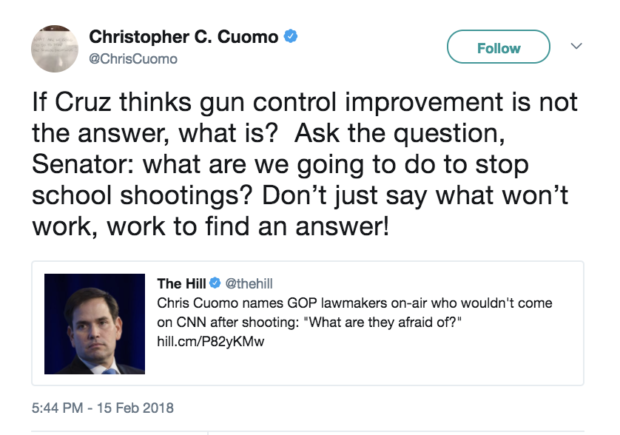 Cuomo — who is definitely a respected journalist and not an activist — called out Ted Cruz for allegedly refusing to answer questions on the issue of gun control. Cruz responded soon thereafter, fact-checking the serious CNN personality. 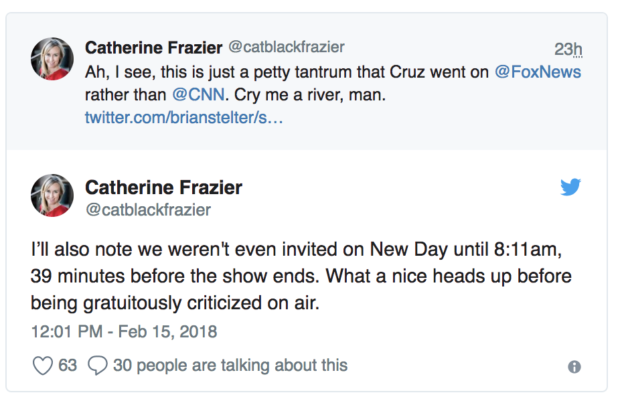 Cruz said that he was on CNN for 15 minutes and CNN aired “NONE” of the interview. 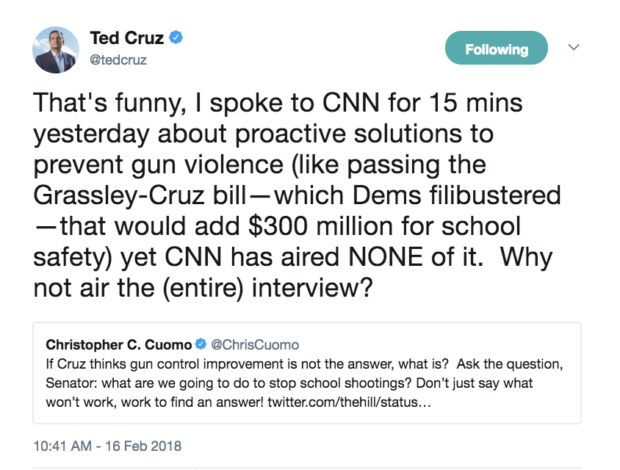 That’s funny, I spoke to CNN for 15 mins yesterday about proactive solutions to prevent gun violence (like passing the Grassley-Cruz bill—which Dems filibustered—that would add $300 million for school safety) yet CNN has aired NONE of it. Why not air the (entire) interview?